Fall is FINALLY in the air and we are back with Ana Patricia to continue with our boutique series. Game Day is a BIG deal around here. If you are anything like me, it’s the perfect opportunity to have a large assortment of cute RED gear. AP is ready to style you for Fall – whether that be Game Day, girls night out, date night, or a day at the office… you’re covered! 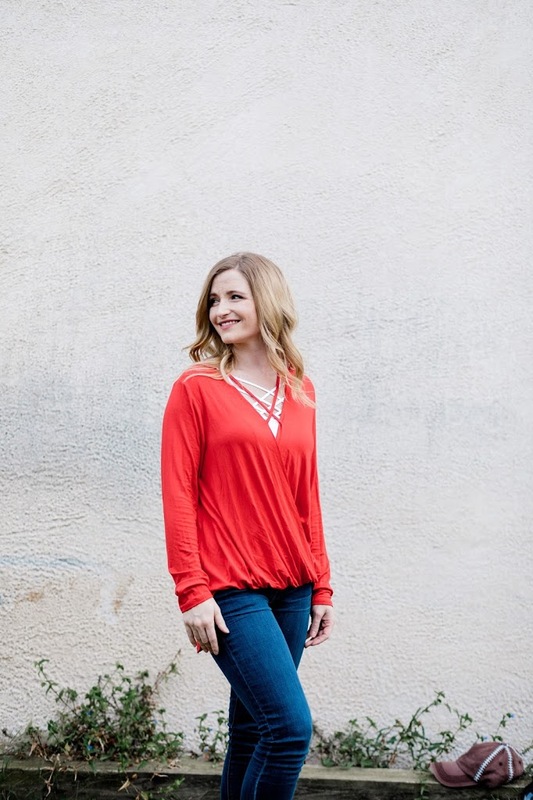 These tops are so versatile and can be dressed up or down with your shoe and accessory choice. I am obsessed with this top. I loved it on the hanger and I loved it even more when wearing it. 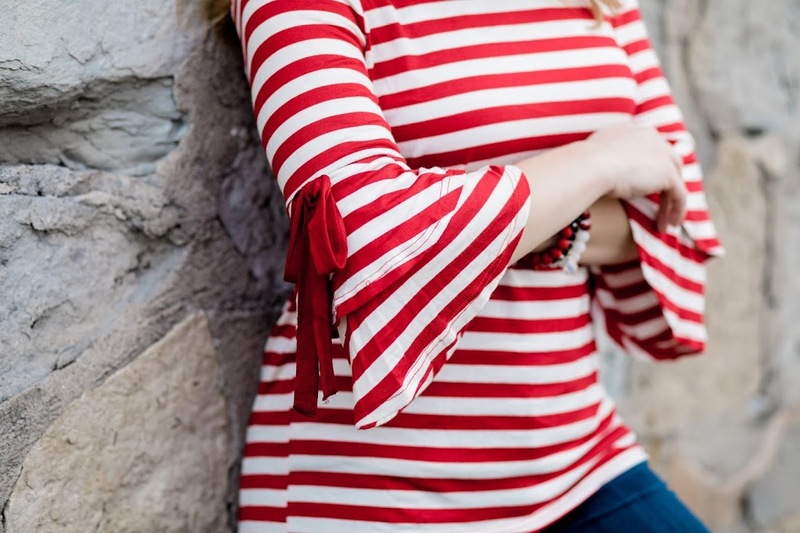 It is soft, just the right weight, and the bell sleeves deserve all the heart eyes in the world. 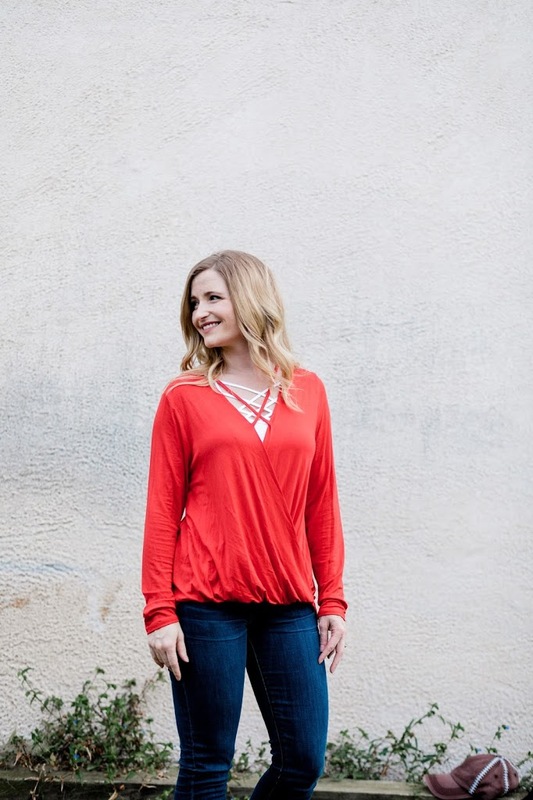 This top is perfect to dress up with a pair of wedges or booties for game day! And did you see the adorable bracelet?! You can also find that stack at AP! 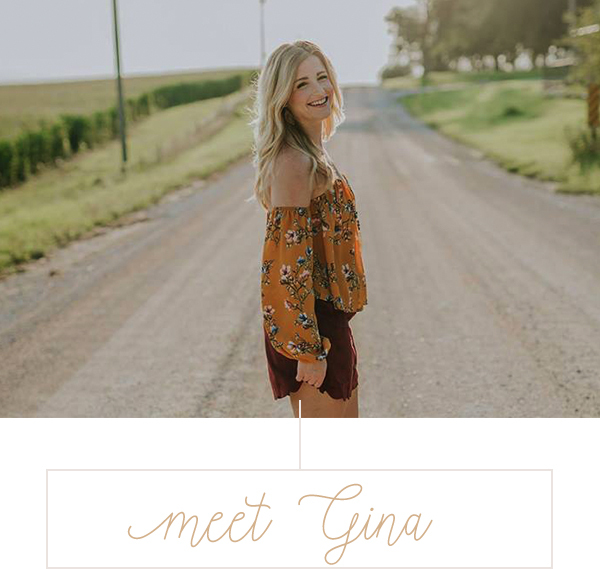 I don’t know about you guys, but I am naturally drawn to the strappy look that is all the rage – and the ladies at AP know how to pair the cutest looks with their strappy tanks! 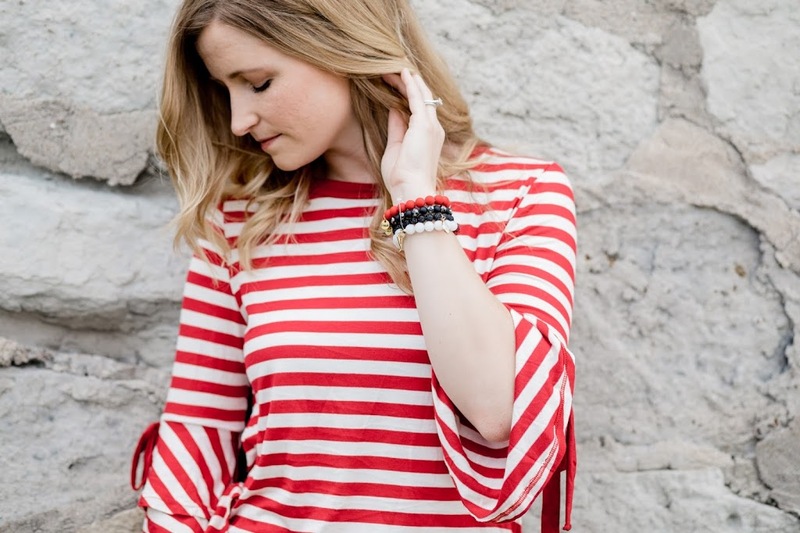 This look would be absolutely adorable dressed down with Converse or a cute sneaker! 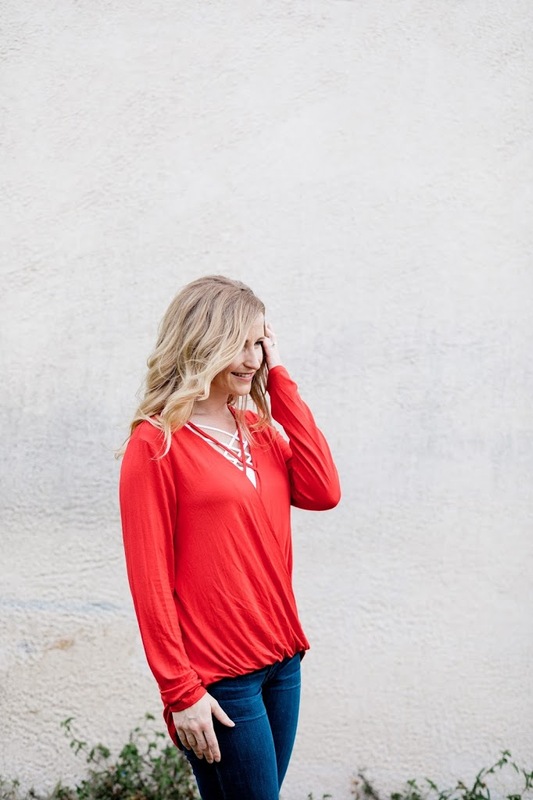 And like I said, this shirt could EASILY transition to dressy for a fun night out! 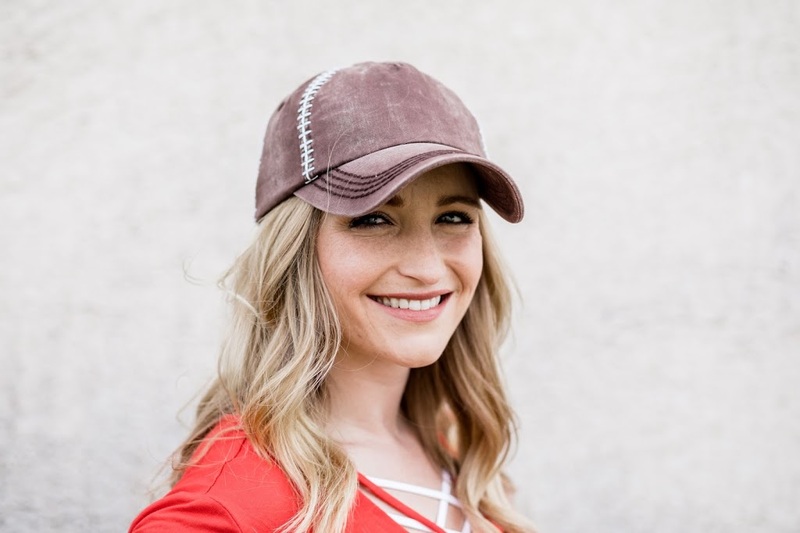 I dont fancy myself to be a “hat girl,” though my husband can vouch for the fact that I grab a hat the second my hair can no longer be rescued by dry shampoo. But this hat?! It’s sporty and stylin’ and I actually loved it! 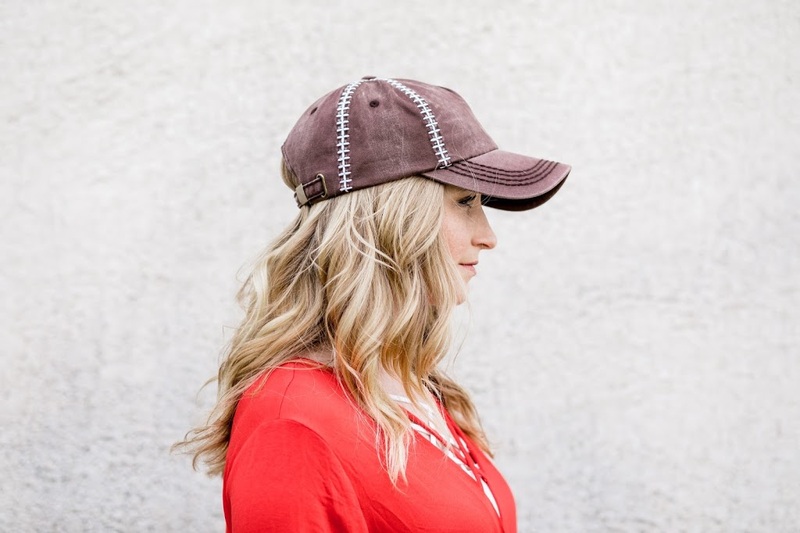 It fits perfectly and would be the cutest addition to your game day attire! 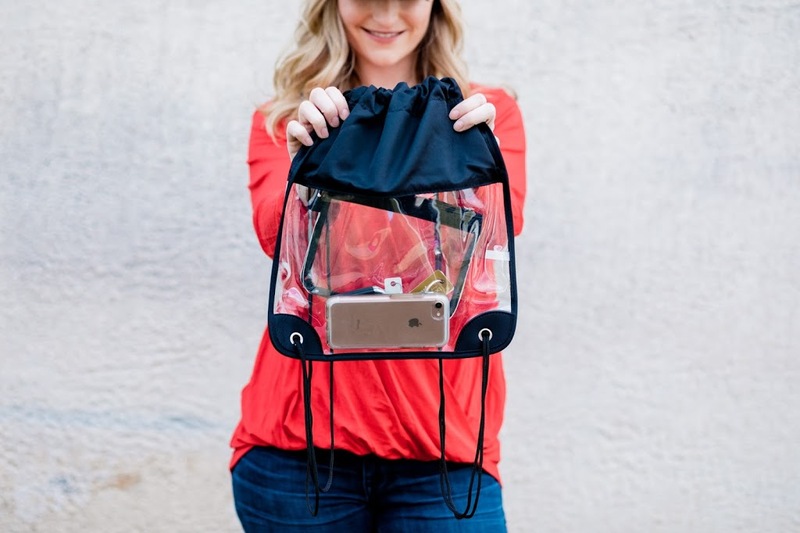 And last but not least, if you’re headed to a game, this clear bag is a MUST! Check it out! I unexpectedly love it. And the best news? Every NEW customer order will be put into a drawing to WIN a CLEAR HANDBAG! So… if you are thinking about making your first AP purchase, now is the time! Between now and October 1st, your name will be entered to WIN! Check them out on Facebook here or Instagram here to see the latest pieces available! And remember – all first time purchases will be entered into a giveaway for the clear bag pictured above! 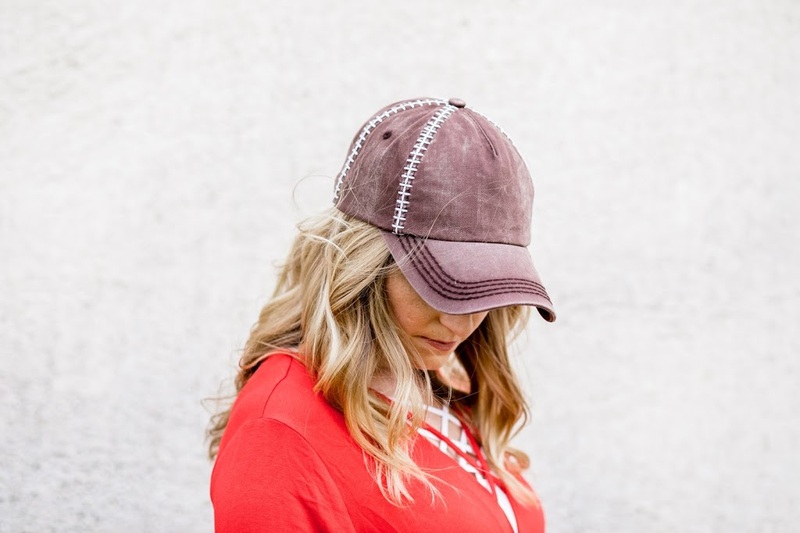 Your perfect game day accessory! 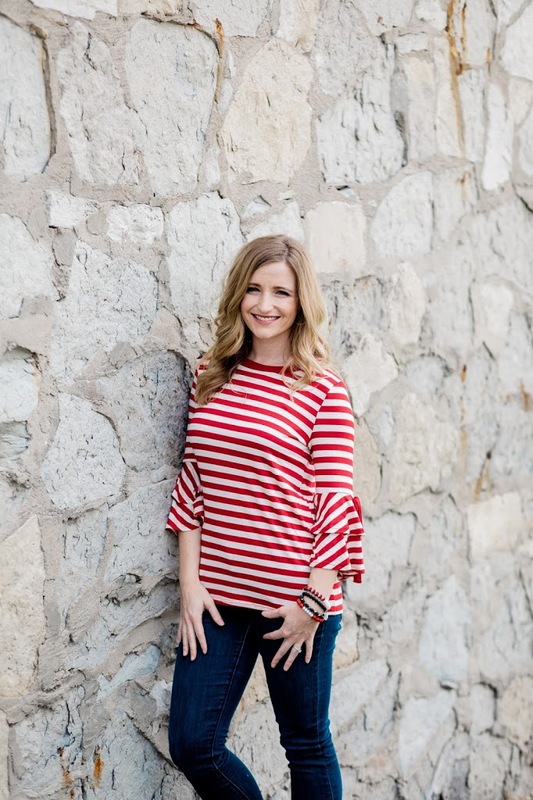 Big thanks to Ana Patricia for this amazing giveaway AND Heidi Thorson Photography!